We are proud to announce that we, recently, prevailed in a white-collar criminal matter concerning an alleged crime involving violations of Korea’s Banking Laws. The allegations stemmed from transactions between a payment processor and a major Korean financial institution. Bail was granted for the non-Korean banker/businessman and, promptly, upon the granting of the bail by the Korean court, the Seoul Prosecution decided to drop all charges against our client. 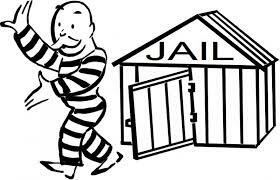 In Korea, it is very difficult to obtain bail in cases that are being vigorously pursued by the Prosecution. The conviction rate, in Korea, is greater than 99%. We are proud to note that our criminal defense team has been successful in obtaining bail and not guilty verdicts for the majority of our foreign clients. Our success is based on the dedication, passion and proactive nature of a very experienced retired judge, prosecutor and one of Korea’s best known expat attorneys.